Earthjustice Vice President for Litigation Patti Goldman discusses efforts to protect the orca whales of Puget Sound, WA, whose existence is threatened by toxic contamination and starvation. 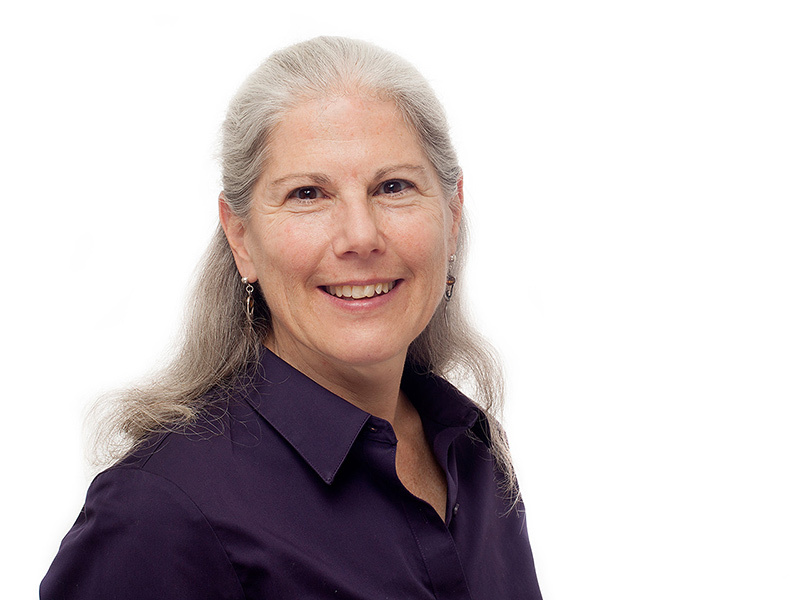 Before serving as VP for Litigation, Patti Goldman headed the Northwest regional office where she spearheaded efforts to protect the orca whales that make Puget Sound their home. The iconic creatures are at risk of extinction due to a decline in the abundance and healthiness of salmon, their main food source. Goldman spoke with Associate Editor Jessica Knoblauch in September of 2011. Jessica Knoblauch: Patti, thank you so much for taking the time to speak with me. Now, Earthjustice has been working to protect Puget Sound's orcas for about a decade. Tell me about these orcas and why they're so special. Patti Goldman: Well, the orca whales in this region are hugely important to the people, historically to the native people, but then I think anyone who lives here and goes out into Puget Sound and is able to see the orcas, it's really a very special kind of occasion. They are so much part of the fabric here. Back starting in the 1970s some whale biologists did a census of the orcas and they know them by name. They each have the pod they're in (J, K or L), but then they have names, too. And, when they come back in July, all three pods come back into the Haro Straits part—what we call the Salish Sea—they do a ritual where they line up by pods and they welcome each other and they kind of like each do a little acknowledgement to each other. I've actually never seen that but would love to. And they're just so magical that it's very much a part of the people in this region. Jessica: So the number of orcas in this group has been declining for some time. Why is that? What has caused the decline of the Puget Sound orcas? Patti: Because these orcas are further south than a lot of others, they are more accessible to where people are. They're the one population that really is in an area that is developed. They were the ones that were targeted for live capture for the Sea Worlds. And so their population was decimated in the 1960s and 1970s with the live capture. About a third of the population was captured. Orca L87 breaches at sunset with Whidbey Island and Mt. Baker in the background, Oct. 15, 2010. It ended when actually one of our clients, former Secretary of State Ralph Munro, was out on a boat with his wife and another couple and they found themselves in the middle of a live capture where they could hear the babies squealing as their mothers were captured. That was a very pivotal moment because he was then a member of the state legislature and was the lead proponent of banning live capture in Washington waters, which then happened. So that was the first decline. There was a second decline in the 1980s, and that was because there weren't enough orcas of reproductive age, so that was a demographic that was related to live capture. The third decline is when we became involved, and that was in the 1990s where there was a 20 percent decline, the population was down to 78 individuals. And this one was not related to live capture. Instead, it was an environmental decline. They were declining because there wasn't enough food and the food that did exist was toxic. And so we started to see a situation that became a crisis, and it became clear that the orcas needed the protections of the Endangered Species Act. Jessica: So Earthjustice saw that the orcas needed help. What happened then? What was Earthjustice's involvement in protecting the orcas? Patti: Well, the first case was when the NOAA [National Oceanic and Atmospheric Administration] fisheries decided not to protect the orcas under the Endangered Species Act. And it was so clear that these orcas needed the protection of the Act. They needed habitat protections, protections for their prey. And there was no dispute about that. The dispute was really a technical scientific one. What the agency decided was that this population wasn't a separate population. It was one world-wide population or species of orca whale, and because of that they could not protect this population because there were enough orcas in the world. The problem with that is that the scientists were again in agreement that if the new taxonomy was developed, there would be two species of orcas: one that eats marine mammals (they tend to be bigger and they travel much wider ranges and in small little pods because they're chasing marine mammals all over the place), and then there are the fish-eating orcas like our orcas in the Puget Sound area. And they're different. They're different genetically, they're different in terms of their body sizes and types, in what they eat, their behaviors—all of the kinds of measures of whether something is a species. But back in 1758, Carl Linnaeus, who was the father of taxonomy, classified orcas as one species. And they locked in that designation for all time. Jessica: In 2005, the orcas were successfully given endangered species protection, and Earthjustice began looking at ways to ensure that they thrived. So how does our salmon work tie into these efforts? Are the two interrelated? The Puget Sound orcas live in three pods named J, K, and L. Members of L pod, Admiralty Inlet, Oct. 10, 2009. How do salmon affect the health of orca populations? Patti: Very much so. What you need to look at from the perspective of an orca is a lot of salmon and particularly the salmon that are real fatty because they need a lot of fat. So what they like the best are the Chinook, our king salmon. And so you look at the really big river systems and where you can get the most, big, fatty Chinook the fastest. So we have some very old work that Earthjustice had done, which was on the Elwha dams on the Olympic Peninsula, which were removed. [Editor's Note: As of 2013, the dams have been partially removed.] That will be a massive restoration project for Chinook salmon and hopefully produce a lot of them that go right in the Strait of Juan de Fuca where the orcas can chow down. 20 years ago, local tribal members and visionary activists, together with legal support from Earthjustice, began an undertaking for the removal of two massive fish-killing dams on the Elwha River. Following the dams' removal, the Elwha's rebounding salmon runs—estimated to swell from the current 3,000 annual spawning fish to 400,000 by 2039—will greatly benefit the area's ecology and wildlife, as well as the Puget Sound's struggling orcas. Earthjustice Attorney Todd True said, "The take down of the Elwha River dams is like running a marathon that takes 25 years to complete. Amid the elation of heading down the homestretch to the finish line, you are reminded that good things come slow, that anything is possible, and that enforcing our environmental laws actually does bring about lasting change." Demolition and removal of the dams began in September 2011 and is expected to take three years. About this video: Filmmaker John Gussman is chronicling the Elwha Dam removal with the documentary Return Of The River . In this clip taken in October 2011, crews use explosives to loosen bedrock underneath the old spillway of one of the dams. Our longstanding work on the Columbia River would also benefit the orcas tremendously since those populations have declined by 90 percent, and that was one of the largest salmon-producing rivers [on the west coast]. And we have won a victory on sending that plan for the Lower Snake, the Columbia hydropower system, back to the agencies for a redo and hopefully looking at alternatives like removing the lower Snake River dams. But our salmon work protects the orcas even further south. If you go down to the San Francisco Bay Delta, there you have two very large river systems, the Sacramento and the San Joaquin , where NOAA has required revamping of water export and water management systems to protect salmon and one of the reasons was the impacts on the orca whales. So they go that far down south for their food supply. We had one other case that was very much targeted to orcas and this is on the Skagit River , which is one of the largest rivers going into Puget Sound. If you restore the Chinook salmon there, you would produce triple the amount now and it would be the largest salmon-producing river between the Frasier and the Columbia. [Editor's Note: The Skagit case has since led to a restoration fund.] And there the issue was loss of the estuaries where the Chinook grow from smolt into the much larger salmon that can go to the ocean and survive. There are tide gates that have reclaimed a lot of land for agriculture but then denied the Chinook the estuaries they need to grow. And so we won a case there that's requiring that some of the tide gates be revamped to provide more estuary habitat. We haven't seen full compliance with that decision yet. It's a pretty small measure compared to the dams, but it is one that would have a huge impact. Jessica: In addition to salmon protection, what other things are being done to ensure that the orca population fully recovers? What else is being done to help the orcas recover? Patti: Well, the other issue is toxic contamination of the food supply. Our client, Ralph Munro, who one of the orcas is named after him and unfortunately died before maturing, and it was because of toxic contamination. He wanted to bury this orca named Ralph on his farm and he was told he would need a toxic waste permit because there was so much toxic contamination in the blubber. And what happens is that if the orcas aren't getting enough food, then they start to consume their blubber and what the scientists think is happening is that they start to poison themselves. So it's a huge issue, and they're at the top of the food chain, and so they get the toxic contamination through their prey. And so what we've been working on is looking at what are the key sources of toxic contamination, either to the orcas themselves or to their prey. And from that we're doing a tremendous amount of work to restore Puget Sound. The number one source of new toxic pollution is stormwater runoff . So we have been working for many years now to try to upgrade management of that runoff, particularly in urban development areas where we have won a ruling that says that low impact development is the best technology and the best means of avoiding toxic runoff. And that's a nationwide precedent that is now incorporated into EPA's effort to go through the stormwater regulations that would apply throughout the whole country so that low impact development—and by that I mean the rain barrels and the green roofs, a whole different way of green building—the low impact is the best available technology for new development. So that's a really important cutting edge precedent for the whole nation. We've also had successes in challenging flood plain development, which eliminates a lot of habitat for salmon and therefore the prey of orcas. And while we've won in the courtroom, we're still struggling to get compliance with that ruling as well. We've also worked to minimize toxic runoff from highways where you have copper from brakes that gets into Puget Sound, kills salmon and contaminates the food chain. So hopefully these kinds of efforts will really help both the prey and the orcas themselves in terms of the toxics that get into their environment. One of the orcas is named after [our client, Ralph Munro] and unfortunately died before maturing, and it was because of toxic contamination. He wanted to bury this orca named Ralph on his farm and he was told he would need a toxic waste permit because there was so much toxic contamination in the blubber. For the orcas themselves, the real problems are the legacy chemicals like PCBs and DDT. So for those the concern is more cleanup of toxic sites. But then we do have chemicals like the flame retardants, which mimic PCBs, and they're very much like them in that they're persistent and they're reproductive toxins. And so getting restrictions on those, which Washington State has done in a leadership role in the country and Earthjustice is working on in advocacy, is really important to not have these other persistent, bioaccumulating toxins in the environment. We've also worked to get toxics banned like pesticides that are persistent, bioaccumulative toxins. So that's really critical for the orcas themselves. Some of the toxic runoff from stormwater and highways like copper is toxic to salmon. So you get salmon kills when you have big runoff events from storms. So that's really important for the food supply. Jessica: So orcas are being threatened by toxic contamination, by a lack of salmon, but one thing that hasn't really come up yet is offshore oil development, which I know affects a lot of marine species. Is that also impacting orcas in Puget Sound? Does offshore oil development impact orcas? Patti: Well, you have offshore oil development up in the Arctic Ocean or the Gulf of Mexico where you've got seismic mapping and exploration. That's really critical for the acoustic environment for marine mammals. One of the whale biologists has said, "If a clarinet is like human speech, orca speech is like a full symphony orchestra." They communicate with each other with clicks and whistles, and they use what's called echolocation to bounce sound waves off of their prey so they both navigate that way and they find their prey. A lot of these make really loud booming noises, like seismic or sonar or even sometimes the more constant noises from ships, it's really quite a loud environment, so both in the Gulf of Mexico and the Arctic that's been really critical. One of the whale biologists has said, "If a clarinet is like human speech, orcas speech is like a full symphony orchestra." Jessica: It sounds like there are a lot of different components to protecting these orcas, and a lot of different avenues that have to be considered. Is that similar to the way that Earthjustice typically approaches ocean conservation litigation as a whole? Are there parallels in how Earthjustice approaches the complexities of orca conservation with broader ocean litigation? Patti: Yes, I think it's true in ocean litigation, but it's also true of all of our work. Once we were able to get the orcas under the endangered species list and the critical habitat designation was well under way, we then worked with our clients and scientists to ask, "What are the key threats and what can we do about them?" And being Earthjustice, we wanted to know what we can do that would really force the powers that be to do their jobs and enforce the laws to protect the orcas. And from that we came up with a lot of the work where it became clear those were intractable problems that the politicians and the agencies did not want to address until forced to by our litigation. We basically put those on the radar screen, forced the decision-makers to do their job, and they would not have done it without us making them do it. Often what we're doing is partnering with clients who are very connected with the community, whether that's local or regional or national. So we work with them in terms of public education and a lot of the media around the work. On the orcas, we helped pull together a lot of the clients and the scientists to figure out what were the most important advocacy strategies to pursue to recover the orcas. And we played that kind of convening role, which is something that's very common for us to do since we're representing clients and working together with them on the litigation. Jessica: Having worked on this for almost a decade, do you feel like people's perspective of orcas has changed since Earthjustice first took on this litigation? Has public perception of orcas changed? Patti: I think there's been a growing recognition of how connected we are to the salmon, to the orca, the water quality. When the flame retardant ban was being considered by the state legislature, we had the connection between the human health effects of these persistent, developmental reproductive toxins that we're putting out into the environment, and we also have these same persistent toxins in the whale blubber that are causing toxic effects. So we're connected in that way to the orcas as well. One of the really wonderful parts of working for Earthjustice and being the lawyer for these kinds of cases is that you learn so much about the law but also the science. And one of the things that really stuck with me, that made me admire the orcas so much was that they are one of the few species that are matrilineal, and their pods are matriarchal so the mothers and the grandmothers and the granddaughter all stay together. The males will go between pods when they're mating, but they'll travel with their mothers. And they are one of the few species that has post-reproductive females. We have humans and orcas and elephants. One of the things that scientists have tried to figure out is, "What is it that post-reproductive females are doing in terms of evolution and survival?" For most species, the reproduction function, the rearing the young, is what they're doing for survival. And they think for the orcas that it's passing down knowledge. That stuck with me as something that I found so special. Patti Goldman spoke with Down to Earth in September 2011. 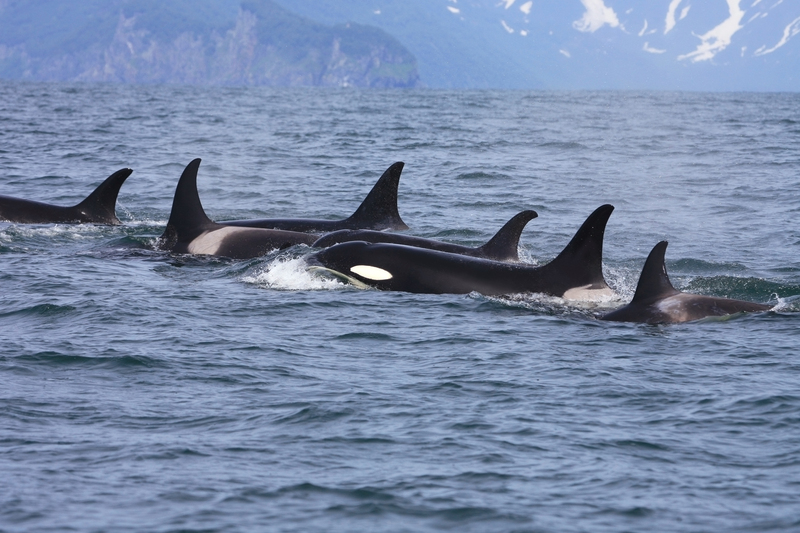 The Orca Network generously provided the photos of Southern Resident orcas used in this interview. Visit orcanetwork.org to learn about their work and to see more photos of the Southern Residents. Down to Earth is an audio podcast about the news, events and personalities that make up Earthjustice. Hear from attorneys, clients, scientific experts, and more on Earthjustice litigation. The Southern Residents are a unique population of orcas that reside in Washington state’s Puget Sound whose existence is threatened by a decline in the abundance and toxic contamination of salmon, their main food source. In 2005, Earthjustice successfully argued that the orcas deserve protection under the Endangered Species Act, resulting in new safeguards for the orcas, including the creation of a binding recovery plan, protection for the whales' critical habitat, and assurances that all federal projects will protect the whales before the projects can proceed. Protecting the orcas meant protecting their food supply, so Earthjustice began working all along the west coast to ensure that orcas had plenty of access to abundant, uncontaminated salmon populations. In September 2011, Earthjustice litigation resulted in the removal of the Elwha River Dams, two large fish killing dams that block salmon from most of their historic spawning habitat. Because they’re at the top of the food chain, orcas are heavily contaminated with toxins like PCBs and DDT, which come from sources like stormwater runoff. Earthjustice has had several victories that have helped minimize toxic runoff from waterways and encourage low impact development, which helps avoid toxic runoff. "One of the orcas is named after [our client, Ralph Munro] and unfortunately died before maturing, and it was because of toxic contamination. He wanted to bury this orca named Ralph on his farm and he was told he would need a toxic waste permit because there was so much toxic contamination in the blubber."